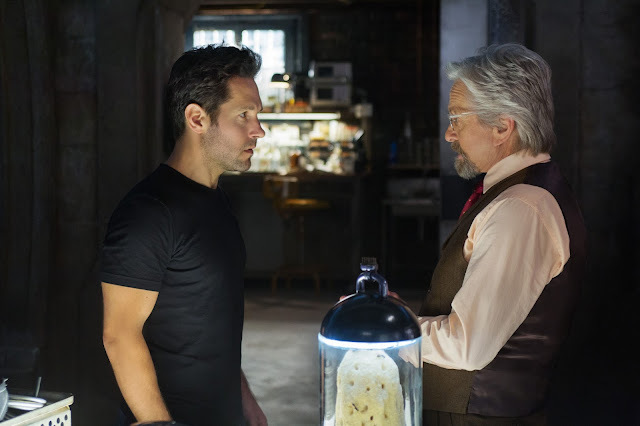 Scott Lang (Paul Rudd) is a skilled thief who is recruited by Dr. Hank Pym (Michael Douglas), a now retired genius and superhero who needs Scott's expertise to take on his old powers as Ant-Man. Determined to create a better life for his daughter, Scott must don a suit with shrinking and ultra strength capabilities in order to defeat Cross Industries. Our Marvel tale opens with a much younger looking Hank Pym in 1978 as he exits S.H.E.I.L.D following the death of his wife and having realised one of his inventions has become too dangerous. 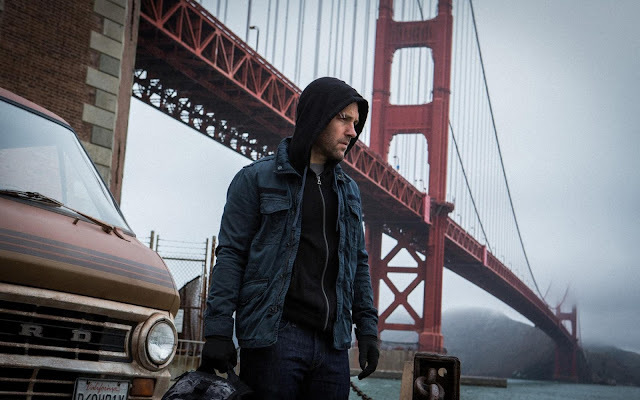 Fast forward to present day and, having just been released from prison, Scott Lang is determined to live a clean life for the sake of his young daughter. However, struggling to get a decent job and having lost his position at Baskin-Robbins ("Baskin-Robbins always find out"), Scott agrees to a heist after receiving an anonymous tip through the grapevine, unaware that the tip is from the very person he is setting out to burgle. Having seen a spark in Scott, Pym takes him on as his protege in the hopes of defeating Darren Cross (Corey Stoll), a scientist who has uncovered Pym's work and is trying to see it for weaponry. Queue the montage! 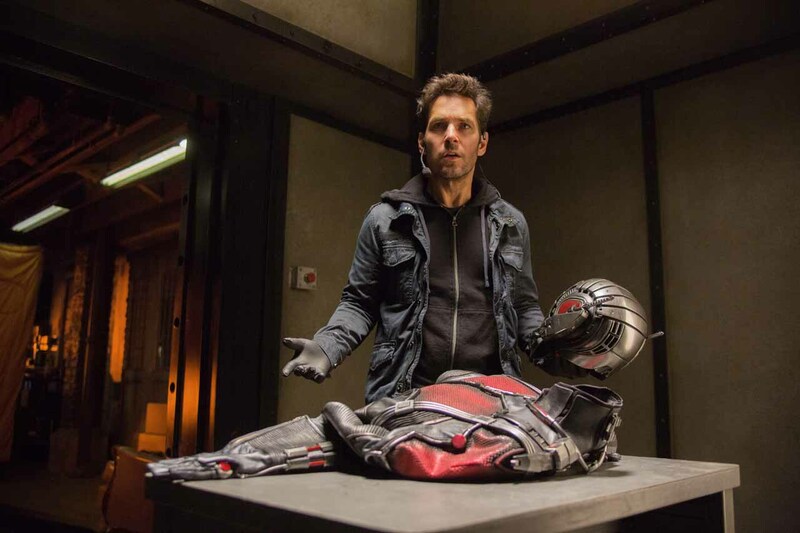 With a screenplay written by comedic greats Edgar Wright and Joe Cornish (Shaun of the Dead, Spaced and the Adam and Joe Show), it comes at no surprise that Ant-Man centres itself around comedy value. The narrative features some fantastic comedy characters, in particular Michael Pena as Luis, and with every moment of intensity, this is quickly followed up with witty comic relief and awesome action shots. It was assumed when Wright and Cornish were believed to be writing the screen-play that it would not be about Scott, a divorced ex-con, but that they would create a new character with the physical abilities to come up against the likes of Iron Man and Captain America. This proved not to be the case but there are, of course, many mentions of the S.H.E.I.L.D team, subtle hints at Spider-Man and we even see a scrap with a new Avenger, paving the way for the next movie. 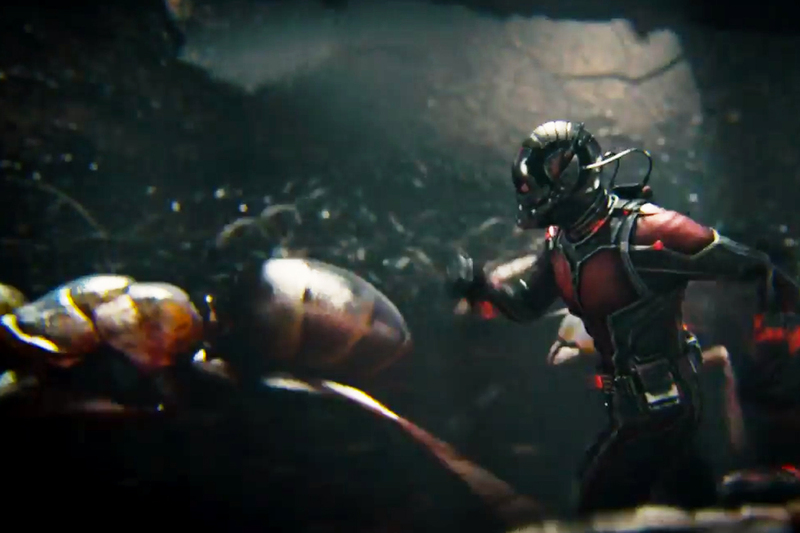 There are, however, a few ant-sized ways in which Ant-Man falls down. Focussing heavily on he character development and backstories of Hank and his daughter, Hope and their rocky relationship - the sentimental aspects of the narrative are somewhat over-bearing and sometimes unnecessary. It became very clear that a lot of the dialogue was used primarily just to add in yet more details of their past. Furthermore, the villain portrayed by Darren Cross who becomes Yellow Jacket, leaves a little to be desired. Though the narrative attempts to build a backstory behind Cross's turbulent relationship with Pym, Cross does not leave a very impactful imprint on the story. 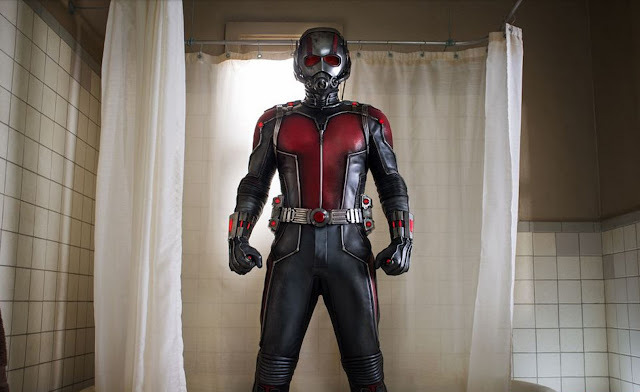 He does, however, feature in a superb action sequence which leads Ant-Man to a triumphant finish. If you can suspend your disbelief for a second, we are after-all accepting a man who can shrink to the size of an ant, communicate with the ants themselves and have super-human strength while doing so, Ant-Man is a brilliant edition to the Marvel franchise. Though certainly not it's strongest production, the title is more a comedy piece over anything else but the fantastic action shots and cast make this an incredibly enjoyable piece of entertainment. Ant-Man gets a Sophie star rating of 4 out of 5 stars. Be sure to wait for the scene just after the first film credits and wait right to the end also for a taster of the next Marvel feature (of course, you already knew that anyway). Have you seen Ant-Man yet? What did you think? As always, Paul Rudd proves he is awesome and I'd definitely recommend seeing him in this. And of course, you can't fault Edgar Wright and Joe Cornish in their epic return to screenwriting. This is was part of a double-bill I did at the cinema this weekend. We first went to see True Story (my review to follow) and then realising Ant-Man was on straight after, thought we might as well. It's always fun to kill two birds with one stone and I love a movie marathon. 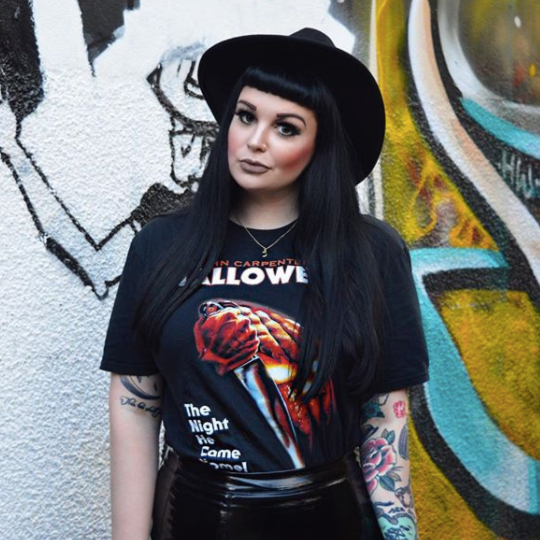 What did you get up to this weekend? As always, leave your thoughts down in the comment section below! Omg so want to watch this! I still can't decide whether this is my kind of film or not.. I struggled with the avengers to be honest! However I do completely agree... Paul Rudd is just completely awesome. I saw this yesterday. The funny thing is when I started seeing the movie trailers for this some time ago, I thought there's Jessica Biel. Then when I saw the movie yesterday, I thought I was watching Jessica Biel until the credits rolled and said Evangeline Lilly. I've seen Evangeline in the Hobbit movies but in this one she looked so much like Jessica Biel, lol. Like you said, it's important to stay for the mid credit and post credit scenes. I thought Paul Rudd and Michael Pena were entertaining in this. I'm seeing it tomorrow night so now I'm even more excited.